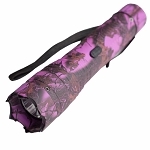 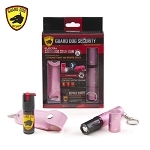 2A2-AZ106P - This series Stun Gun features a sleek pink design with a more up-to-date look and realistic feel of a Cell Phone sporting a bright LED Flashlight. 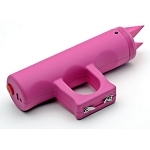 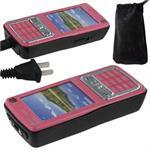 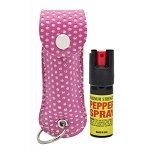 Pink Duo Max Power Stun Gun Double Shock With Removable Safety Pin. 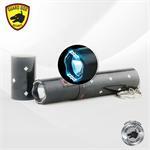 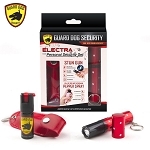 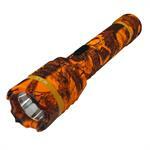 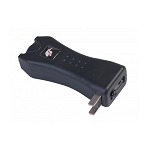 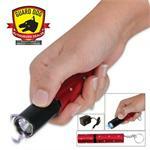 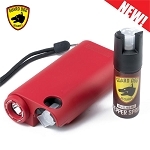 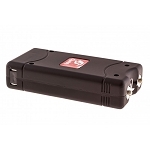 High powered stun gun designed for self defense situations. 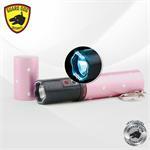 Tactical Elite Force Metal Stun Gun Rechargeable LED Flashlight - Pink. 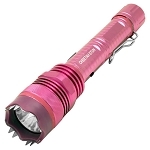 Overall length: 6.75"
The Monster "Hornet" (White) 6,000,000 Volt Rechargeable Mini Stun Gun With LED Flashlight. 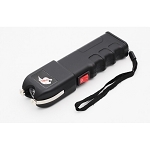 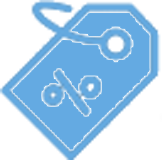 The World Smallest Stun Gun Non-Lethal Self Defense Key Chain With Lifetime Warranty. 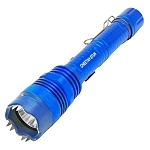  Jogger Spiked Defensive Knuckle Stun Gun 4.8 Million Volt Rechargeable. 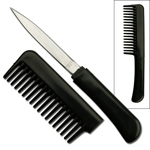 Piercingly sharp kubaton-style double spikes on the end for strikes and hammer fist punches.